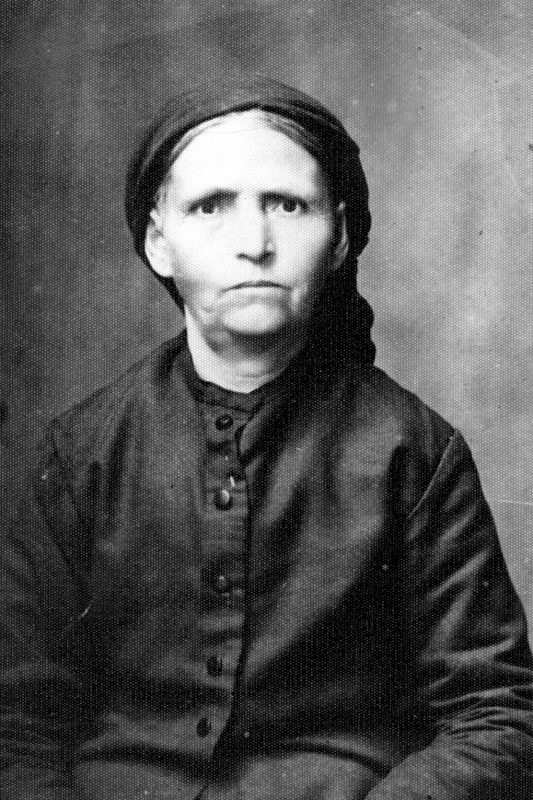 This is my maternal great-grandmother, Stathoula Zaharakis, of Theologos. How I wish I could have met her. Her eyes pierce my soul and her look of strength and determination inspire me. I have written previously in this blog about my search for her and the Zaharakis family of Theologos. 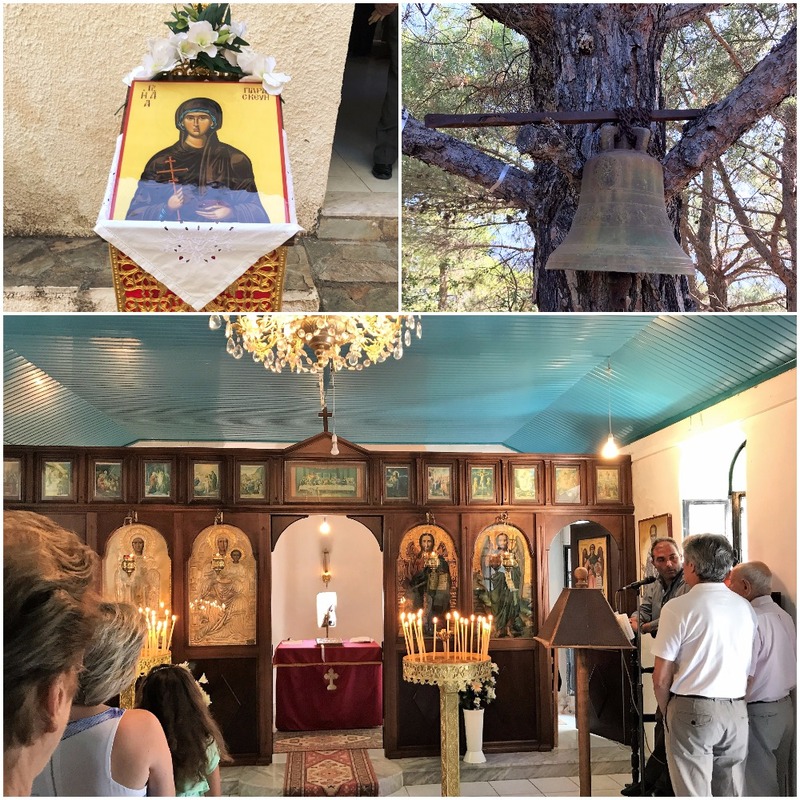 One of my biggest research “to do” items this summer was to visit Theologos and learn more about the family. Much to my delight, this has happened in a way that was beyond my wildest dreams. The seeds for success began with Facebook. I had found a Zaharakis family in the U.S. with roots in Theologos. Georgia Zaharakis of Sparta actively commented on the posts, and I “friended” her. The moment we met in Sparta, there was an instant connection. Within 48 hours of meeting face-to-face, I was driving with Georgia and her mother to Theologos to celebrate the saint day of Agia Paraskevi. To reach the village, we drove for five kilometers up a narrow one-lane road with hairpin turns until we arrived at the very top of the mountain, a breathtaking sight overlooking the village. The church of Agia Paraskevi was built in the late 1800’s at the pinnacle of the mountain. It is very small but the interior is beautiful. Liturgies are chanted there only once a year for the festival of its patron saint, or at the request of a family. The original church bell hangs on a nearby tree. Its clapper is missing and to hear it ring, children hit it with pine cones. 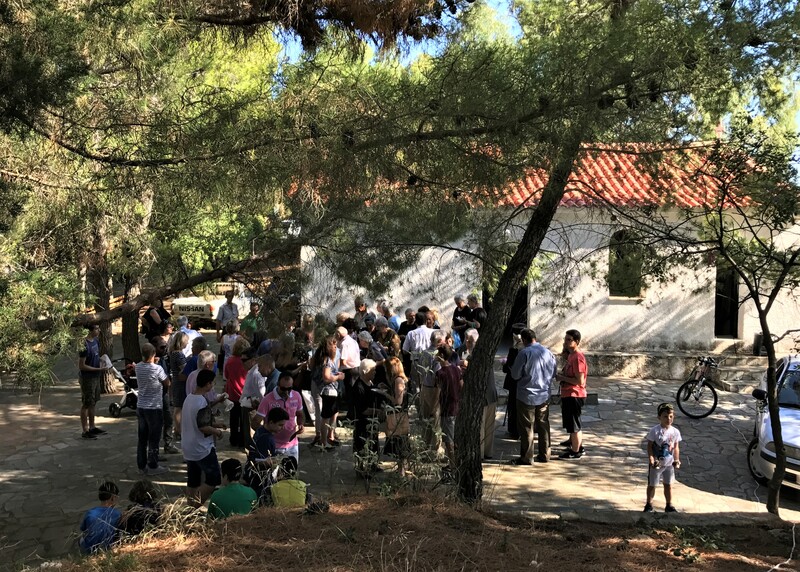 After the liturgy, villagers gathered for coffee and sweets outside the church. As I walked the grounds, my mind wandered back 150 years and I envisioned Stathoula also celebrating this feast day at this very place. At that moment, I felt so very close to her. Georgia had told me that there were many members of the Zaharakis family living in Theologos. Imagine my thrill when she began introducing me to new cousins! As one cousin introduced me to another, I was embraced with the warmth and affection that permeates Greek families. 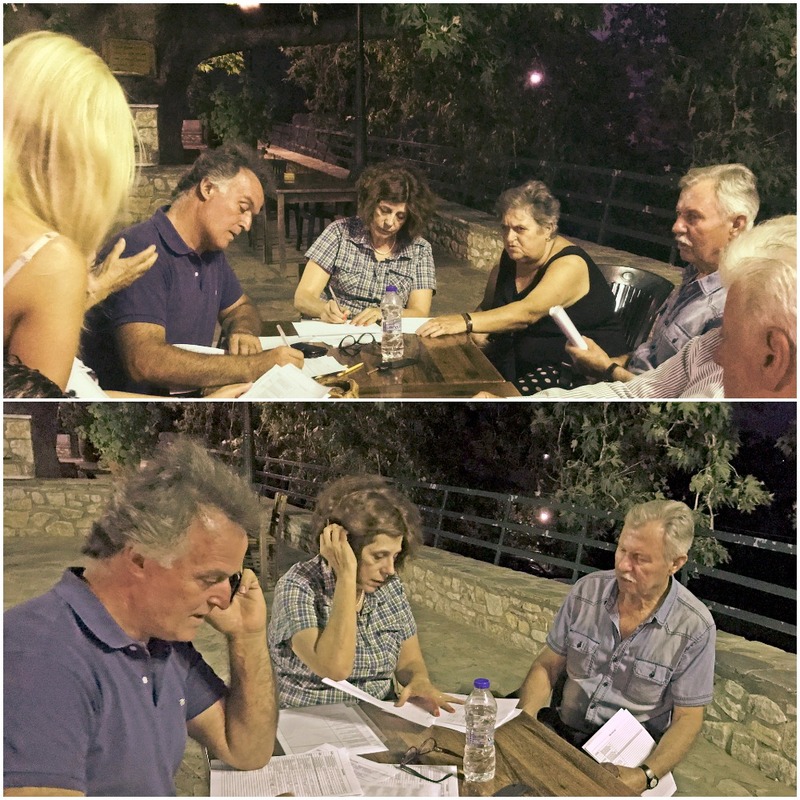 Georgia proposed having a Zaharakis family reunion, and all agreed to meet at the platea the following Monday evening. I arrived early to visit the cemetery and the Zaharakis gravestones. The sign indicated that the cemetery was dated 1893. It is likely that Stathoula’s parents would have been buried there, but by now, any old graves are long gone. The Zaharakis family reunion was a joy beyond description. Young and old arrived at the platea, chatting animatedly and excited to be together. I had printed out Family Group Sheets in Greek, and people clustered around Georgia to relate their family information. We have yet to sort out all the information, but for a family historian, this was a thrilling sight to behold. 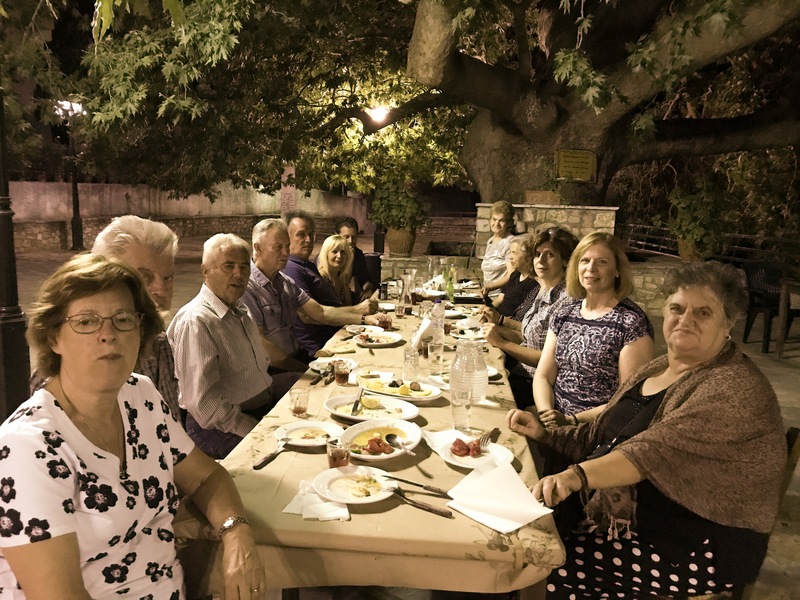 The family told me that not only was this the first time all the Zaharakis’ met together, but it was also the very first reunion of any family held in the village! A restaurant on the platea provided endless food and drinks, and the festivities lasted into the night. Many Greek villages have organizations known as syllogos , which work to preserve the history and culture of the village. 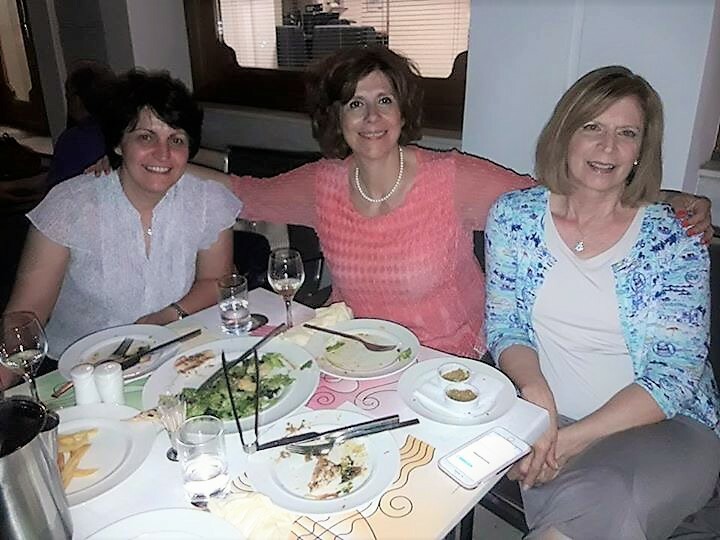 A new women’s syllogos for Theologos was recently formed with Georgia as the organizer and president. One of their goals is to convert an old stone schoolhouse, no longer in use, into a museum. As a descendant from this village, I joined immediately and offered to be of help to them. In this day and age, being across the ocean does not hamper collaboration! Logo: Syllogos Women, Agios Ioannis Theologos, Love. 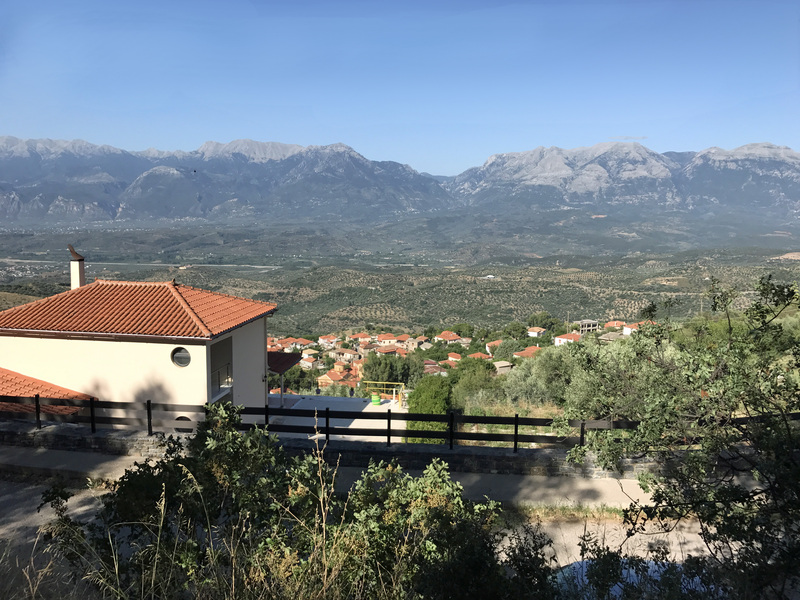 All that happened in Theologos was as a dream to me. 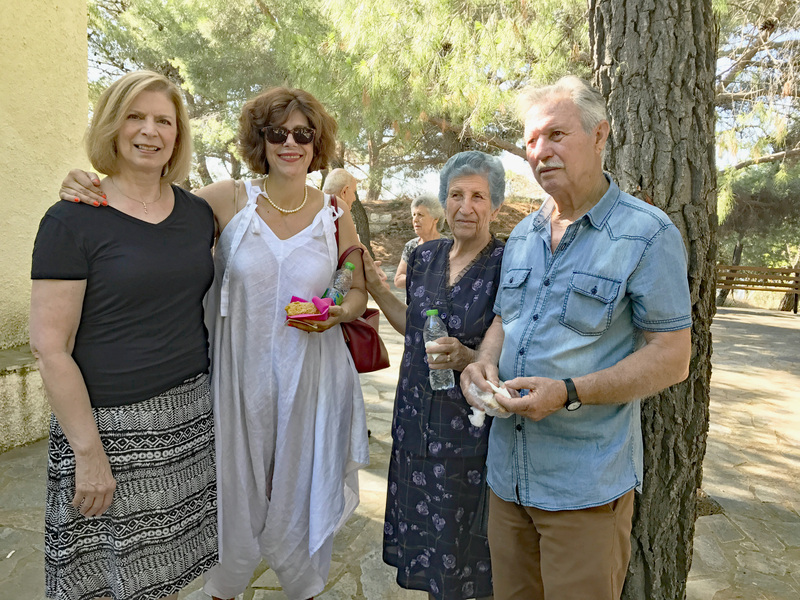 I am now connected with the descendants of the Zaharakis family and I have many new “sisters” in the Syllogos. Online research has its place, but so many blessings come when we can visit our ancestral homeland. 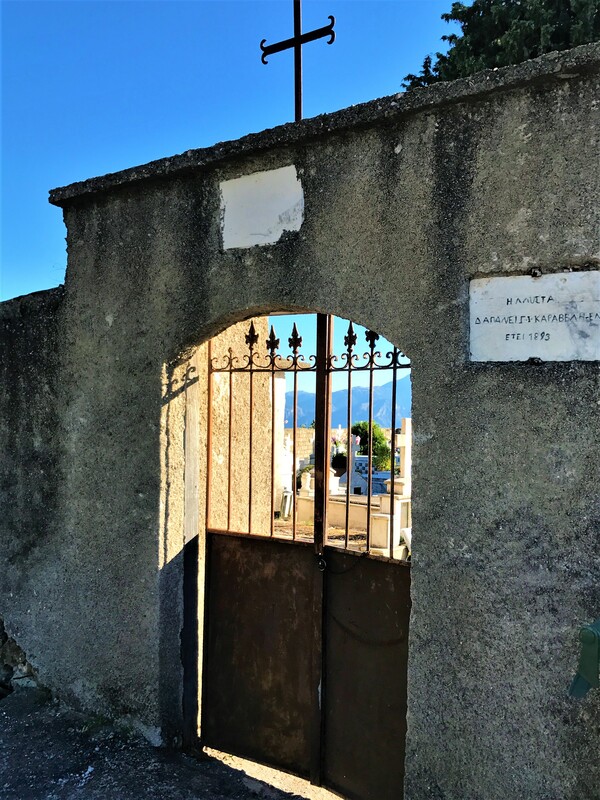 This entry was posted in Genealogy, Greece 2017, Theologos, Trips, Zaharakis and tagged Syllogos, Theologos, Zaharakis by Spartan Roots. Bookmark the permalink. Wow, I didn’t realize you had them fill out family group sheets! Keep an eye open for Bebetsos and Linardis. What a precious memory! Can’t wait to go to Sparta next year and help Bill sort out more about his family. Maybe we can coordinate trips! Thank you so much for sharing your experience. I’m looking forward to working on genealogy next summer if, Lord willing, we are able to travel again to Greece. I’m collecting all your tips and resources in preparation! Hi Vicky, Thank you for your kind comment! I would be more than happy to help you prepare a research plan for your trip. I am sending you a separate email with a handout I prepared for our Hellenic Genealogy conference in 2015. I can’t wait to read the next installment! Great job! Copyright © 2012-2016 SpartanRoots. All rights reserved. Unauthorized use and/or duplication of material without express and written permission from the author is strictly prohibited.